Life is all about balance. There is no yin without yang. In recent years, minimalism in fashion has been much more widespread and mainstream. The practical economy (read: recession) has had us stock up on basics. Well here’s where the yang comes in. There can be no minimalism without excess. Each is needed to make us appreciate the other. 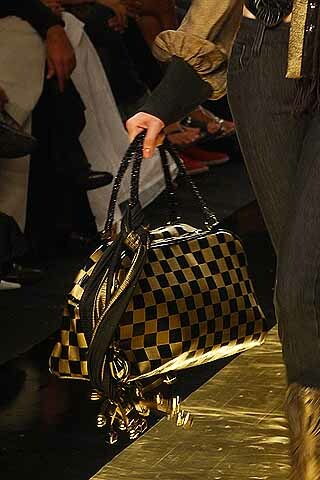 Over the past few seasons, I’ve noticed a number of over the top accessories on runways the world over. Gone are the dainty, sweet necklaces – replaced by bolder, statement pieces. The crystals were colossal at Dior Couture and tribal rings reigned at the Tahiliani show – fit for urban royalty, no doubt. Remember when Madge wore all those gold necklaces? Well, that look was from Givenchy back in Fall, 2008 – and as usual, they got there first. Usual minimalist Anamika Khanna always adds an embellished twist or two. 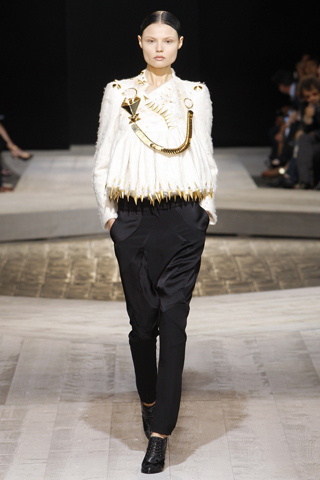 I loved her waterfall cascade of chains for Spring, especially with the tattered jacket. 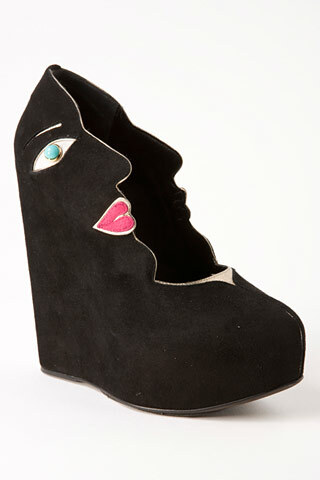 It would be wonderful with a pair of white skinnies and flats. There was tattered – and then there was the shattered. Glass. Around your neck. Over slinky jersey. Not so practical, but oh, so pretty. Just don’t trip on that gown, dear. Could be très dangereuse. Mirror, mirror on the wall, who's the fairest of them all? A look from Greta Constantine FW10. 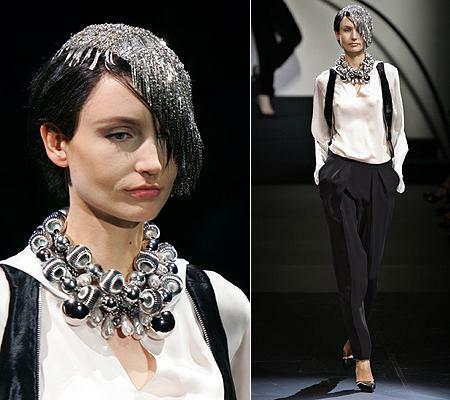 Last year’s Armani Privé collection was lackluster, apart from the sparkly hair and baubles to offset a black and white look. Obviously you are not going to crystallize your head for a work day, but a chunkier, bolder piece of g’Vellerie (pronounced in a desi accent!) will add a little drama to your work basics. Perfect for managing the work drama all around you, no? I’m not quite sure what this next piece is – whether the gold chain was part of the jacket or an added accent piece. My go-to with black and white (and with most things, actually) is silver. 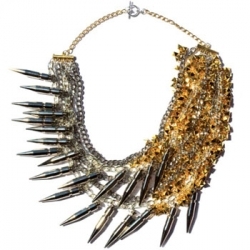 I am going to try this colour combination for Spring…just got a crazy, noisy, gold-coloured necklace. I love the simple mixed with the traditional – it’s always been a part of my look. Love the pulled-back hair and simple makeup with this elegant choker at Sabyasachi, who always gets it right. So as you’ve figured out by reading this far, accessories have changed face. No, really, they have. Case and point at Dolce and Gabbana. The international fashion set have been photographed in these signature pieces from the design duo. Jingle bag, jingle bag, jingle all the way… Why be discreet, when you can be heard coming – blocks away? Or, just sparkle all the way. 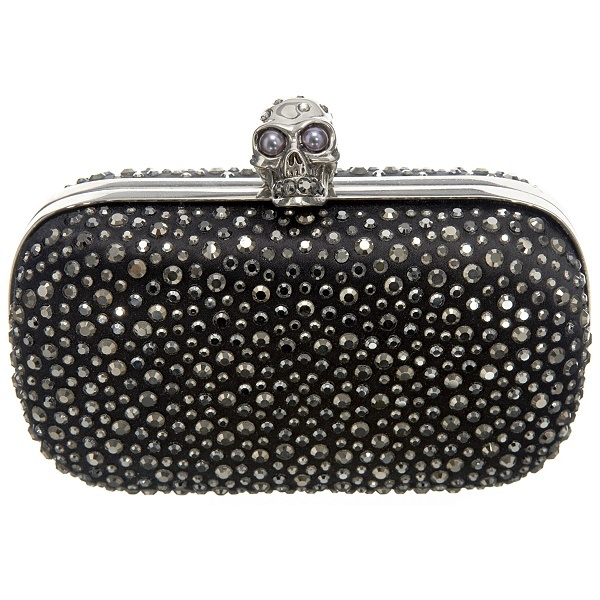 The coveted Swarovski-covered clutch at McQueen. Hauntingly beautiful. The decadence of Chanel's chain-drip box clutch and finger-less elbow gloves, as captured by Tommy Ton of Jak & Jil. 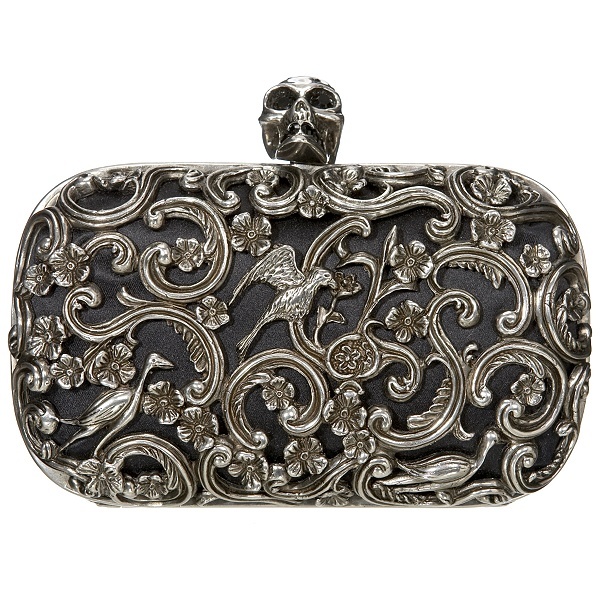 The clutch of my gothic dreams, at McQueen. Any of the above would be perfect for me – or Daphne G, my fairy goth mother. That’s a woman who understands how to excessorize. Daphne G at the Chanel mobile art opening, October 2008. Daphne G in what looks like an Alaia corset belt. Anyone know for sure? My goth dreams included the swirled McQueen clutch and this piece of waist-art from Ms. Demeulemeester. "Hold me now. Warm my heart. Stay with me. Let loving start." Ann D FW09 belt. Hanging bits were everywhere. Evan Biddell showed thick scarves, worn dupata style. 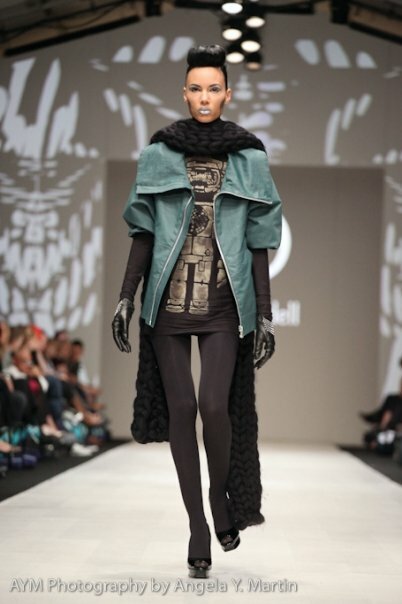 Canadian designer Evan Biddell showed cushy scarves, perfect for Canuck winters and the frigid fashion set. Photo by Angela Y. Martin. And then, there was the infamous scarf from Mr. McQueen. Who else could pair houndstooth with the Union Jack, mixed lettering and binder clips and make it work? God Save McQueen - through whom excess was ever eloquent. Images courtesy of Style.com, Vogue India, Givenchy, The Cut Blog, Fashion Magazine, Telegraph UK, China Daily, alexandermcqueen.com, JakandJil.com, LIFE Magazine, Angela Y. Martin Photography. Next Post Rumour: Giles Deacon at Ungaro?